I 'll be traveling on business this week so the blog will be quite with no posting for about that time. Speaking of sound and silence, is the photo below of the first Sonarmen in training? In 1914 the Fessenden Oscillator was invented by Dr. Reginald Fessenden of the Submarine Signal Company in order to communicate between ships and between ships and shore facilities. 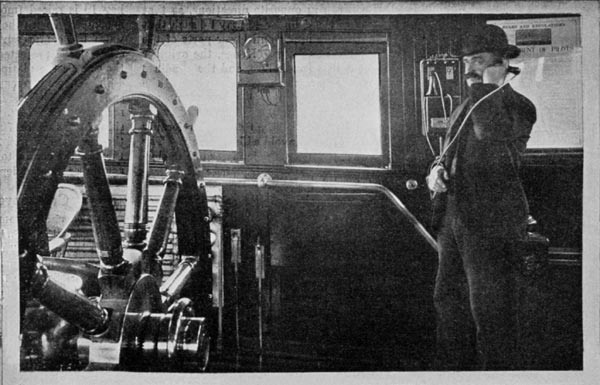 The above photo is demonstrating a listening device, very similar to a telephone, used on board ships as part of Dr. Fessenden's system. NOAA Vents program Acoustic Monitoring. Whale Acoustics research company's ocean sounds page. J & A Enterprises, Inc. Noise and Vibration Control Engineers ocean sounds page. And a large historical collection at the HNSA-Historic Naval Sound and Video webpage. Finally a bit of computer geek trivia on the PING command, who knew it had anything to do with sonar. Yesterday was the anniversary of Abraham Lincoln’s Nov. 19, 1863 Gettysburg Address. In reading Lincoln’s words, I could not help but think of the principles and sacrifice he described in the context of today’s war on terrorism. Lincoln wrote the Gettysburg Address at a low point in the civil war and after one of it’s worst battles, claiming 45,000 casualties of which approximately 7,000 were killed in action. “Fourscore and seven years ago our fathers brought forth, upon this continent, a new nation, conceived in liberty and dedicated to the proposition that all men are created equal. It is rather for us the living, we here be dedicated to the great task remaining before us--that from these honored dead we take increased devotion to that cause for which they here gave the last full measure of devotion--that we here highly resolve that these dead shall not have died in vain, that this nation shall have a new birth of freedom, and that government of the people, by the people, for the people shall not perish from the earth." Audio link to the Gettysburg Address read by actor Jeff Daniels. I think the last paragraph in Lincoln’s address is an appropriate juxtaposing to Iraq in that we owe those who "gave the last full measure of devotion--that we here highly resolve that these dead shall not have died in vain, that this nation shall have a new birth of freedom". Gettysburg is a quite place today because of those who sacrificed for freedom in Lincoln's time, and Fallujah, read what Greyhawk at The Mudville Gazette recently posted about progress in that city from a year ago. Visit Stg. Hooks site and read a 101st Airborne Division soldier's letter "Taste Of Freedom" to the people back home. Got time to kill? Assemble this submarine puzzle and let me know, in the comments, where the photo was taken . Click on the link, let the puzzle load, click and drag the pieces, start with the corners and then the sides. Have fun and remember, putting a puzzle together doesn't have to be a race! Update: OK, if you don't have the time here's the J.O. version it's easier. Puzzle Location Solved: USS Providence (SSN719) inbound to NLON past Ledge Light. Are we in for a political food fight over the Advanced SEAL Delivery System (ASDS) program? The answer may be yes, U.S Rep. Rob Simmons (R) of CT. say the ASDS program, under its current prime contractor Northrop Grumman, is 600 percent over budget and four years behind schedule. Simmons, who's district includes Groton CT home of the Electric Boat Company, has said the entire $1.2 billion program should be re-bid (Article in The Day registration required). 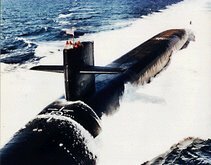 According to Simmons, Electric Boat's use of new production technologies in the Seawolf and Virginia class programs demonstrates the company's ability to develop advanced submarine systems and therefore should be considered as a possible contractor in any re-bid. As a member of the House Armed Services Committee Rep. Simmons has influence over such recommendations to the Navy and is pushing such a proposal publicly. But not so fast, Democratic Sen. Barbara Mikulski of Maryland, says she has already won the fight to fully fund the program at $147.5 million for fiscal 2006. Ms. Mikulski serves on the Senate Appropriations Subcommittee on Defense. Reuters is also reporting that the prime contractor Northrop Grumman Corp. is upbeat on the Navy's ASDS mini-sub program. Sen. Mikulski's district includes the Northrop Grumman's Bay Bridge plant in Annapolis where the ASDS is being developed. The plant could stand to get 150 new jobs if the $148 million contract is approved within the current spending package. Ms. Mikulski has been appointed to a conference committee where the House and Senate will hash out differences in the bill before it goes to President Bush's desk. Northrop Grumman hasn't had a good track record recently as I've noted here with submarines and here with surface ships. It will be interesting to see if Rep. Simmons (R CT) can make a convincing enough argument to take the contract away from a defense contractor and a Senator with more political clout than budget sense. I love good satire, here's one from our friends at - The Onion. "Life In The Navy Rocks Even Harder Than The Commercial Implied"
Man, skimmers white hats really have cool jobs. All we did on Boomer subs was field day and run WSRT and SCAM drills. Then again, us bubbleheads did get some occasional background music played by some Senior Chief pickin he's teeth. The Republic of Singapore is a small island nation of about 263 Square miles or a little more than 3.5 times the size of Washington DC. It has a population of about 4.4 million, a parliamentary republic style government and a strong free market economy. Most countries of this size have a limited Navy and usually no submarine force. But Singapore does have a relatively large Navy and a submarine force of four RSS Challenger class coastal submarines. 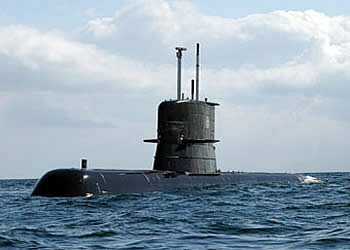 Singapore has recently signed a contract to purchase two SSK Vastergotland-class submarines from the Royal Swedish Navy with the Swedish shipbuilder Kockums AB modernizing the subs and making modifications for operation in tropical waters. These two submarines are likely to replace two of the older Challenger submarines. In service date after modification is expected to be before 2010. 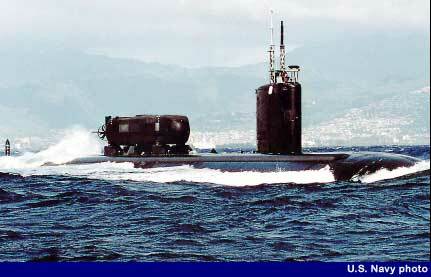 Why does country as small as Singapore need modern SSK submarines? 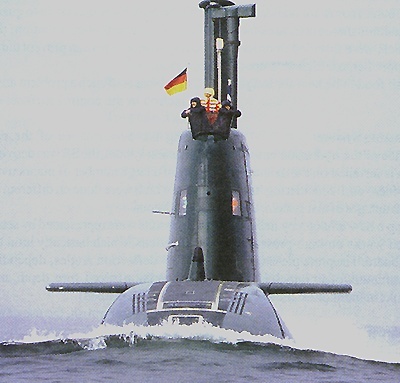 Both of Singapore's neighbors have submarines or plans to purchase SSKs, Indonesia has two Cakra-class Type 209 subs and Malaysia has planned to purchase two Scorpene SSKs. But the real reason is that Singapore sits at the bottom of the Malacca Strait the single biggest chokepoint in the far east for shipping traffic including oil shipments to the energy hungry industrial economies of China, Taiwan, Japan and Korea. The Phillips Channel near Singapore is only 1.5 nautical miles (2.8 km) wide at its narrowest point. Singapore's economy is dependent on this shipping with exports of an estimated $174 billion in 2004. The country's merchant marine consists of 923 ships ranging in type from bulk carriers and container ships to petroleum and LNG tankers. The Malacca Strait has been a hotbed of piracy and Indonesia, bordering the strait, has seen Al-Qaida sponsored terrorism. These two factors also contribute to Singapore's determination to keep a strong and modern naval presence (including submarines) in the Malacca Straits. This relationship between piracy and terrorism has also prompted Lloyd's of London to treat the threat of piracy as a war risk and subsequently change its rates. When it comes to intelligence gathering on pirate activities, there is a question on whether submarines could be a political liability in the Malacca Strait. Because all Southeast Asian nations would have to be in agreement on the use of submarines the advantage a submarine may have in it's stealth could be compromised by agreements regarding operating restrictions. Most pirates are operating out of sheltered coastal coves, a foreign submarine continually operating in a disputed territory could touch a nerve between neighboring countries. After reading this post and comments over at Chapomatic started by commissar post at The Politburo Diktat I thought it an interesting correlation between Singapore's recent submarine purchase, it's neighbors similar ambitions and the problem of Terrorism and Piracy in the Malacca Straits. Submarines may not be the complete answer against pirates in the Malacca Straits or the Horn of Africa but they sure could take out a terrorist mothership if needed. Security and Spies seems to be a theme in my last couple of posts so I’ll continue with this line and add a sea story (personal experience) and confession to the mix. 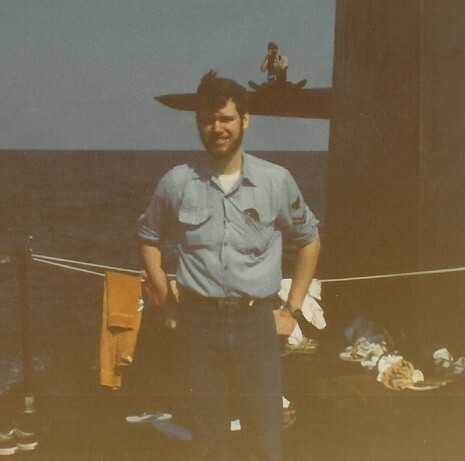 In the fall of 1981 on my first FBM patrol aboard the USS Simon Bolivar SSBN641(G), we had an equipment causality that necessitated us pulling into port for repair. That port was Bridgetown Barbados, not a bad place to make a liberty call. On the last day in port, a group of us went to a hotel on Paradise Beach. They had a nice bar on the beach and it seemed to be the place to relax, enjoy some reggae music and drink Banks beer. About four of us were sitting at a table just off the beach within sight of the bar. We had a few rounds before finding out that the band wasn’t going to start for an hour or so. My shipmates were getting board and had decided to take a walk down the beach to check out the bikini scenery. Being the submarine non-qual and lightweight drinker of the group, I stayed behind to finish my beer. Waiter – “Are you from the submarine over there in the harbor?” pointing in the direction of Bridgetown. Waiter – Sits down across from me “I’ve traveled on ships but I’d like to know what it’s like being on a submarine, how long do you stay at sea?” expressing what appeared to be a general curiosity. LL – Even with a few beers in me, this stopped me in my tracks. To the first question about the type of missile we carried, I just looked at him and didn’t say anything. On the second question about the C4 Missile range, I shook my head “NO” and did not say another word. My “friend” the waiter looked upset with my non-answer and quickly left without saying anything. Just then, my shipmates returned no longer board after a successful bikini-scouting mission. I don’t know if I just didn’t recognize what had just happened or being new to the real Navy felt too scared to relate my five-minute conversation with a waiter to the duty officer, but I never reported it. In either case, I should have reported what had occurred. I relate this story as a sort of lesson leaned because if that waiter was an intelligence agent I could have made a serious mistake in not reporting my unease with what had happened. I didn’t disclose classified information but, if the waiter was an agent, by reporting the incident, I could have compromised his status. 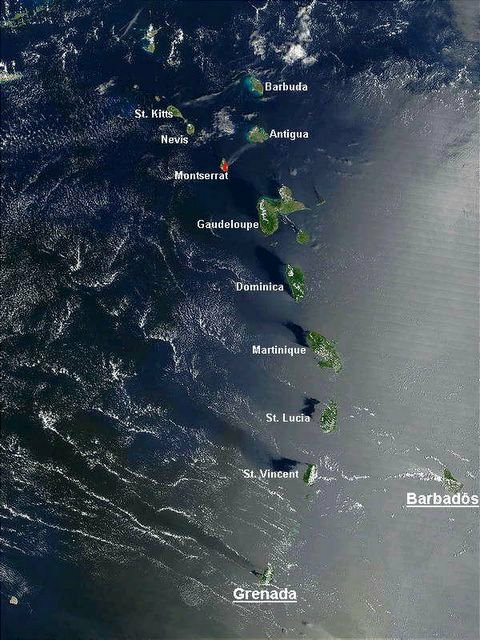 You see that was late in 1981 and Barbados is in close proximity to Grenada. After President Reagan's 1982 visit to Barbados, he voiced a fear that Grenada, with its socialist government and proximity to Cuba, could become a Communist beachhead in the Caribbean. In October of 1983 Operation Urgent Fury was launched, after a request by the Organisation of Eastern Caribbean States (OECS), to stop the bloody seizure of power by a hard-line Marxist group in Grenada. It was believed that the Cubans were behind a government coup in Grenada and their agents had been operating for years on the islands around Grenada. Barbados was one of the island nations with great concerns about it’s neighbor's political direction. Maybe my waiter was a spy maybe he wasn’t, but I wasn’t the one to make that determination. In any case if you’re active duty and someone is asking you questions that start off innocent but become progressively closer to what should remain unsaid be wary and let your command know of your suspicions. Some things that seem simple or inconsequential at the time could actually mean something later on, you never know. If you thought the old cold war Soviet KGB was the "last" big human intelligence (HUMINT) network in the world, you're sadly mistaken. The Chinese have been big into HUMINT "Spying" and continue to be in a major way. Evidence the recent arrests in Los Angeles of a Chinese intelligence-gathering ring. (hat tip: MT1(SS)). Of particular interest is that fact that the Chinese spies were caught with classified information on the new Virginia class submarine. Two blogs on my "Submariner Blogroll", have posts up on this news; Gus Van Horn here and Chapomatic here. Belgium and Greater Europe - The Telegraph, China aims spy network at trade secrets in Europe. Canada - CBC news, Defectors say China running 1,000 spies in Canada. Japan - The China Post, Who's spying now? Russia - The Daily Telegraph, Official charged with spying for Beijing. Sweden - The Local, China "suspected of spying at Swedish universities". United States - Strategy Page, The FBI and the Chinese Spy Army. Via the Internet 1 - NetworkWorld.com, Communist China spying via the ‘Net? Via the Internet 2 - Australian IT, Worms do China's spying. Via the Internet 3 - Washington Post, Hackers Attack Via Chinese Web Sites . How difficult is it to track a Chinese national if they were involved in espionage? According to the FBI and U.S. Immigration, cultural and economic exchange between the United States and China results in about 150,000 Chinese students studying at U.S. Universities and about 700,000 Chinese tourists and business executives visiting the U.S. each year. China may be a valued trading partner but they don't have our interests in mind, in fact, much to the contrary. Persian Journal - The Chinese Communist Party Won Iran's "Election". The Washington Post - China Tells Congress To Back Off Businesses. The Washington Times - China may attack Taiwan in two years: Pentagon. Science Daily - Chavez may sell F-16 planes to China, Cuba. The Heritage Foundation - Balancing China's Growing Influence in Latin America. There are many bloggers covering the military, some active duty, some retired, some veterans of various campaigns and conflicts. All provide varying degrees of experience and insight into previous and current events. Like journalists, in our open and free society they are exercising their right to free speech, adding to an overall discussion on defense policy and informing their readers on varying topics of interest. Unlike Journalists though the Milblogger does their writing within defined restrictions because of their current or previous service. 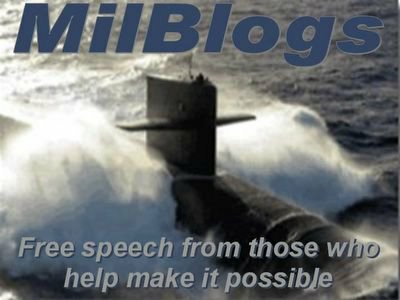 The Milblogger also knows that if he is negligent or sloppy with his posting a fellow servicemen could be put at risk. How difficult is it to prevent writing something that, although open sourced, could compromise the security of what the Milblogger holds dear, their country and service? Intelligence is more than covertly obtained secrets, more times than not is a mosaic of information pieced together to create a picture of the capability, direction or intent of an adversary. Collecting intelligence into this mosaic can come from a number of places, some covert; satellite imagery, signals/communication intercepts, human intel or overt such as simply reading the news and professional journals "Open Sources". In a recent CIA unclassified paper by CIA Analyst Stephen C. Mercado titled "Reexamining the Distinction Between Open Information and Secrets" the author argues that open sources often equal or surpass classified information. He also contends that the Intelligence Community (IC) needs to assign greater resources to open source intelligence (OSINT), stating that OSINT’s share of the overall intelligence budget has been estimated at roughly 1 percent but provides anywhere from 35 to 95 percent of the intelligence used in the government. So are Milbloggers acting as journalists or a disassociated network of OSINT collectors unknowingly aggregating information for an adversary or unfriendly nation? Overt and covert sources of intelligence are sometimes one in the same when leaked information makes it to the public sector. 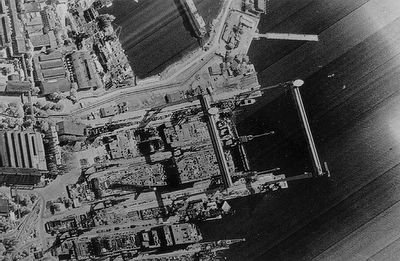 A prime example is the below K-11 spy satellite photo taken 1984 of an under-construction Soviet aircraft carrier. Later in the following year that classified photo appeared in the professional journal Jane's Defence Weekly exposing and therefore compromising a key US overhead imagery intelligence (IMINT) capability. 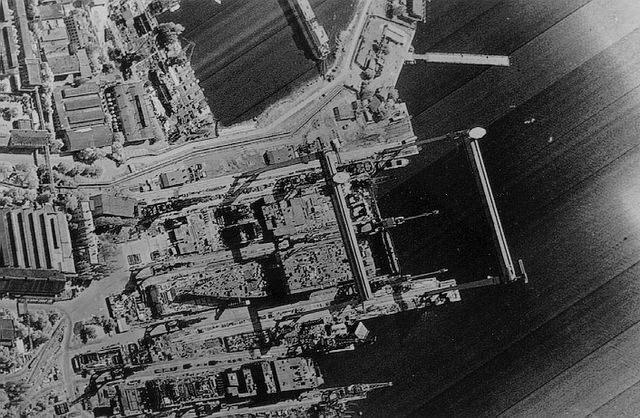 K-11 Spy Satellite Photo of Nikolaiev 444 shipyard in the Black Sea 1984. 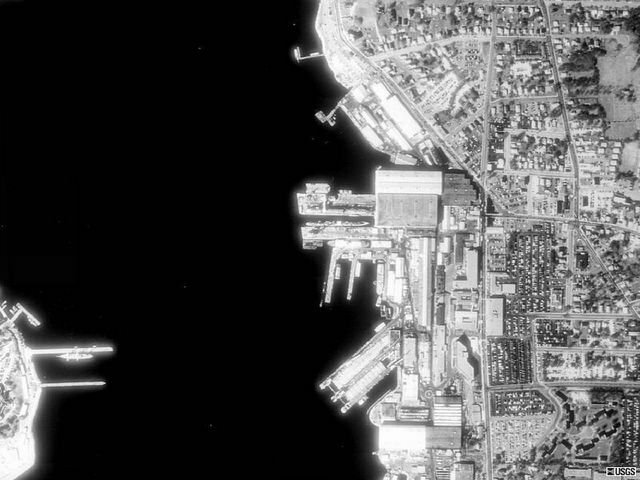 Today I can get open sourced satellite imagery approaching the 1984 K-11 leaked photo. The below image is of Electric Boat shipyard in Groton, CT where submarines are constructed. The terrserver website provides two additional levels of magnification than I posted here. If I annotated the above photo with additional information pertinent to a news event at the shipyard am I blogging as a journalist? What if I added some personal, though unclassified, insight into that event. Could I become an OSINT source with this additional and unique information added, probably. Mr. Mercado argues the OSINT at times provides a better value than covert intel in terms of speed, quantity, quality, clarity, ease of use, and cost. He sites bloggers as one open source that fits the better value "Open Source" criteria. The Milblogger has a conflict here for all the things that makes his site worth reading are exactly what makes it a value as a OSINT source. In the zeal to provide interesting content, the Milblogger could cross that fuzzy line of what is of value to a reader who is not friendly. Without knowing exactly what knowledge this unfriendly reader is seeking it's impossible to defend against. For many military personnel serving in Iraq and Afghanistan blogs have become a more efficient way to share the intensity of their experience. But writing about their experiences in a war zone the Milblogger has to be extra careful not to divulge tactics, techniques, system vulnerabilities, operations, methods, etc. Milblogs have leaked classified information and the military has disciplined some service members. In August 2005, an Arizona National Guardsman on active duty in Baghdad was demoted and fined for publishing classified information on his personal blog. The Army in particular has seen blogs as a serious "loss lips sink ships" kind of problem. Aside from being difficult problem, I don't see a clear answer on how to the mitigate the risk posed by open sourced information. Our society’s freedoms are based on the free flow of ideas, apart from clearly defined state secrets; an effective model of self-censorship for Milblogs isn't available. After all even without Milblogs most of the information is open to the public, just not assembled in one place and easy to find. Of course, other countries are far less tolerant of blogs, even one that covers a topic that has nothing to do with the military. Update 11/9/05 22:00 : As a prime example of exercising discretion in what you post and being diligent in preventing the inadvertent disclosure of sensitive information, MT1(SS) over at Four Knots to Nowhere seems to have caught a breach. He's reporting the sensitive info is already down from the offending site. Bravo Zulu!